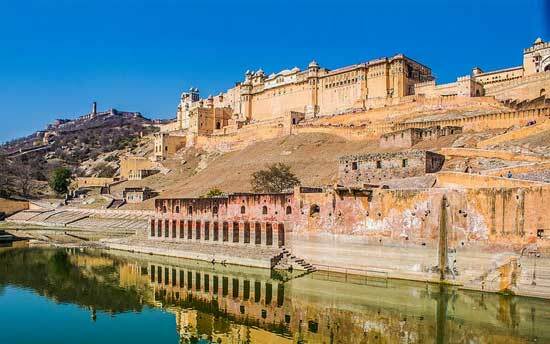 This wide-ranging tour of Rajasthan takes in all the major cities of this vast desert state, as well as the less-regularly visited regions of Shekhawati, famous for its painted havelis, Jojawar where a ride on the hill railway is an unforgettable experience and Karauli, a town oozing atmosphere and history but virtually free of tourists. 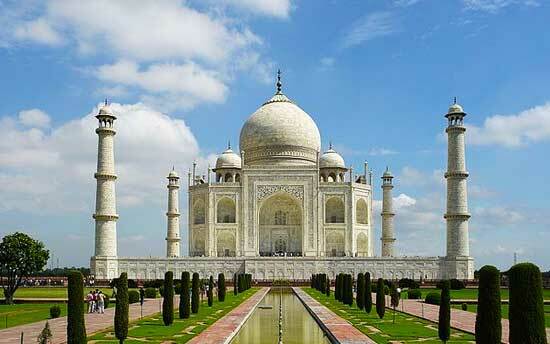 This route also includes a visit to the Taj Mahal in Agra. You’ll be met on arrival at Delhi airport and assisted with the transfer to your hotel. 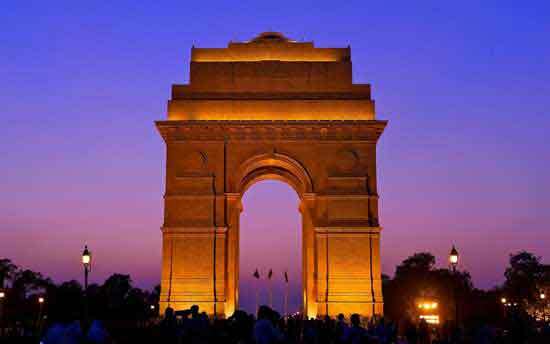 Overnight in Delhi. 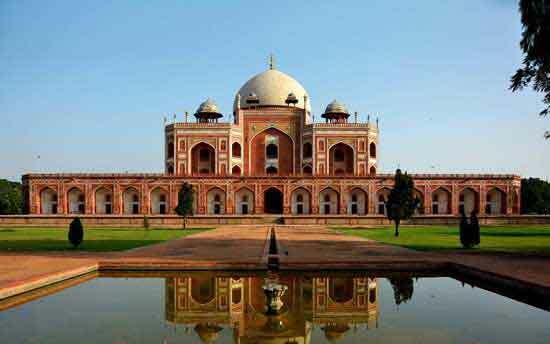 Your first full day in India will be one of guided sightseeing covering all the major highlights of Old Delhi- Jama Masjid, Humayun’s Tomb, Raj Ghat, the bustling markets of Chandni Chowk and the grand colonial buildings of New Delhi. Overnight in Delhi. 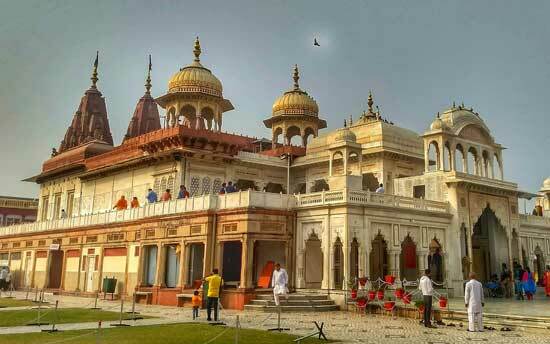 Morning guided sightseeing of Mandawa, and later drive to Bikaner, a true desert outpost boasting one of the most impressive forts in Rajasthan. Tour the Fort and Camel Breeding Centre in the afternoon. Overnight in Bikaner. Optional morning visit to the (in)famous Karnimata temple at Deshnok. This truly unique place is universally known as the ‘Rat Temple’ due to the feeding of rodents which live here and are revered as sacred deities. While it is without doubt an unforgettable place to visit, it is not an experience for everyone! Later in the day drive to Jaisalmer in the far west of Rajasthan, and in the evening visit Khuri where you can ride a camel up the dunes to view the spectacular desert sunset. Overnight in Jaisalmer. 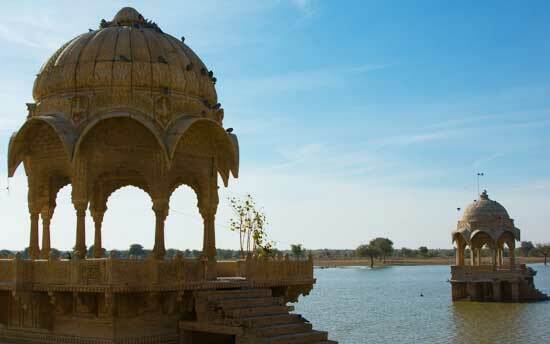 The ‘Golden City’ of Jaisalmer is dominated by its eponymous Fort, a fairytale structure which seems to rise directly from the endless expanse of desert surrounding the city. Tour this most storied site with a guide and spend time in the afternoon exploring the Old City area and sandstone havelis on foot. Overnight in Jaisalmer. 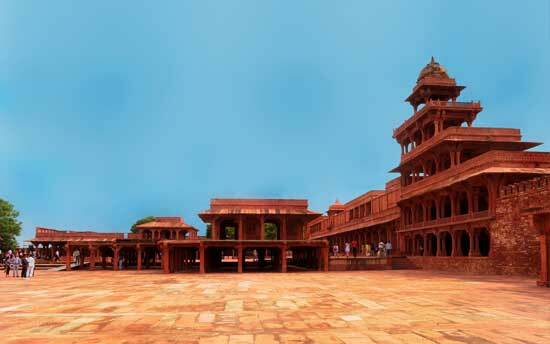 Drive to Osiyan and visit the impressive Hindu and Jain temples here then continue on to the ‘Blue City’, Jodhpur. 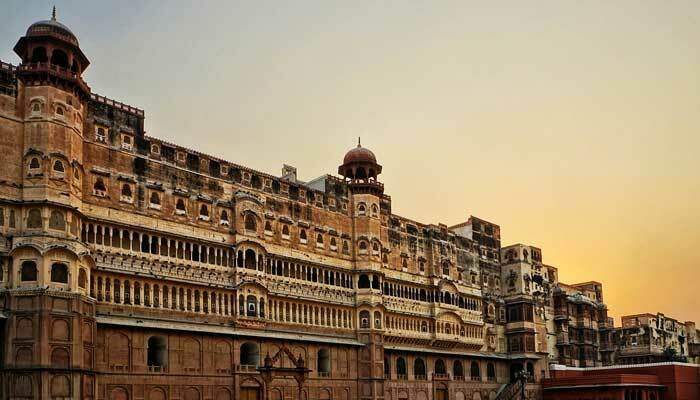 This ancient trading post is dominated by its famous fort - Meherangarh - which sits high atop a ridge above the bustling markets and bazaars of the Old City. Overnight in Jodhpur. Drive to Ranakpur and tour the temples here which are the most sacred site in Jainism. The drive from Ranakpur to Udaipur is truly beautiful as the road traverses lush valleys dotted with streams and tumbling waterfalls. On reaching Udaipur, check in at your hotel and enjoy time in the late afternoon enjoying a cool drink on a roof terrace overlooking picturesque Lake Pichola. 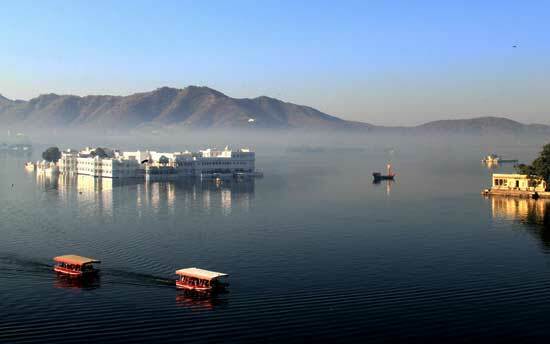 Overnight in Udaipur. Dubbed ‘the most romantic city in India’, Udaipur is a truly unique place with major sites including the City Palace, Jagannath Temple and the island of Jag Mandir (which can be visited during your afternoon boat cruise on the Lake). While each major city in Rajasthan boasts markets which are unique and enthralling, those in Udaipur are particularly noteworthy, with major areas of interest including the many silversmiths and painters who still produce miniature works in the centuries - old Udaipur - school tradition. 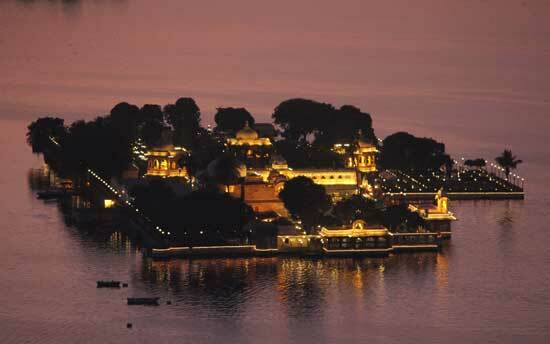 Overnight in Udaipur. 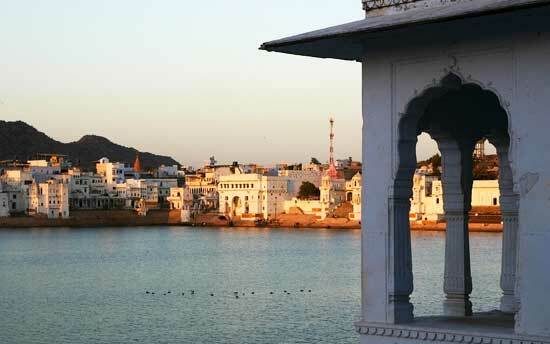 Morning drive to Pushkar, a small and very sacred town clustered around the shores of a lake. Explore the town on foot in the afternoon. Overnight in Pushkar. 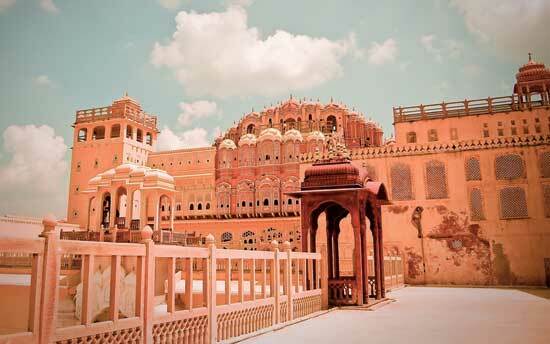 Depart Pushkar and head to Jaipur, the ‘Pink City’ and capital of modern-day Rajasthan. Afternoon to explore the bazaars of the walled city area, and perhaps take in a Bollywood blockbuster at Raj Mandir, perhaps the most ornate cinema in India. Overnight in Jaipur. 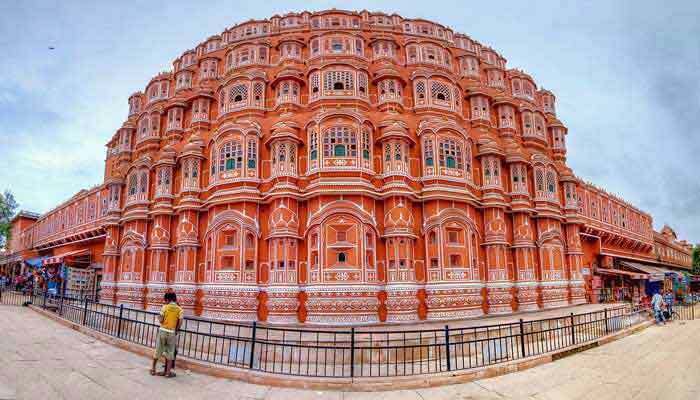 The historic city of Jaipur has many great sights which will be included in your guided sightseeing today - these include Amber Fort on the city’s outskirts, the vast and sumptuous City Palace, the much-photographed Palace of the Winds and more. We also strongly recommend exploring the old, walled city or another of Jaipur’s historic neighbourhoods by means of a walking tour this afternoon, or first thing tomorrow morning. Overnight in Jaipur. 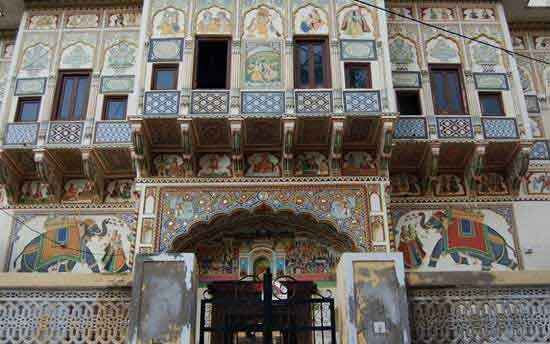 Drive to Karauli, a small town mid - way between Jaipur and Agra. 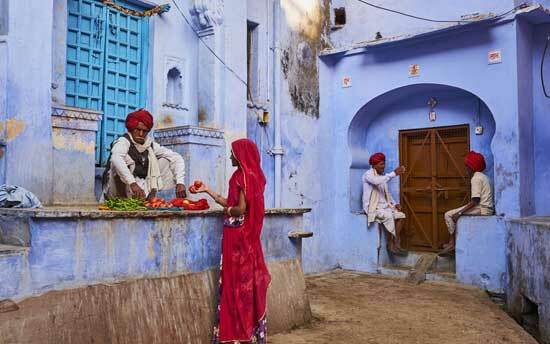 Here you can walk in the markets, view local craftsmen at work and tour the spectacular City Palace which is still owned by the descendents of its founders. Overnight in Karauli. Spend a day in and around Karauli where you will have the option to visit nearby Kalai Devi Wildlife Sanctuary. Kalai Devi is a part of the same forest system as nearby Ranthambore National Park, but the contrast between the two is marked, with many tourists visiting the latter daily, while Kalai Devi is well outside any major tourist route. 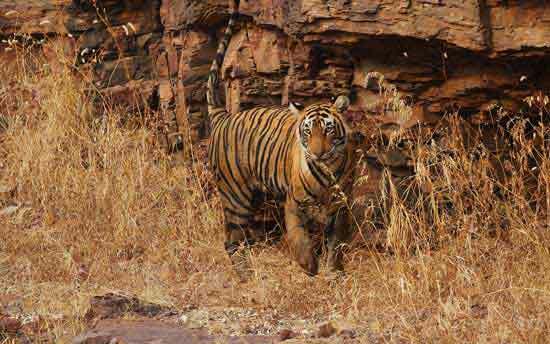 This is low-key park is home to all the same animals as Ranthambore, except tigers, meaning you can walk in the Sanctuary, something not possible in many places in India. Karauli is also a great place to relax in the surroundings of your hotel, engage in conversation with your hosts whose family historic is a rich trove of enthralling stories or shop for bargains in the genuinely local markets nearby. Overnight in Karauli. On the last full day of your tour, you’ll be able to visit what is generally regarded as the most beautiful manmade structure in India, the Taj Mahal. It’s important to allow ample time at this wonderful place and your visit will not be rushed. Later in the day depart Agra and drive 4 hours to Delhi. Overnight in Delhi. According to your international departure time, you will have free time in Delhi prior to transferring to the airport.